As our Avionics business grows, the need to add quality technicians with high character is a constant demand. One of our latest finds is Brandon Gish. Brandon currently hails from Marquette, Nebraska and makes the journey daily. He has over 3 years of avionics install, repair, design, and lead experience. He recently worked for another avionics provider but has chosen us as the superior provider, and he is as excited to be on our team we are excited about having him! 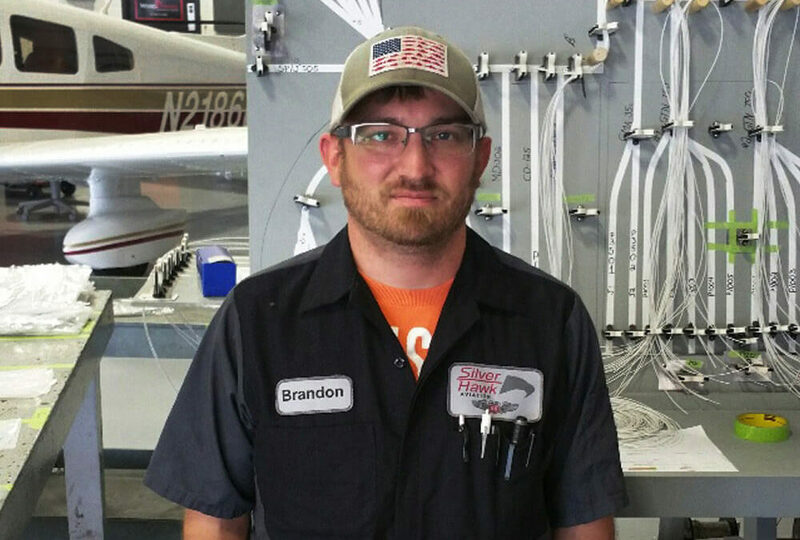 Brandon started with Silverhawk Aviation the end of May, hit the ground running, and hasn’t looked back since. He has 2 sons – Kobyn, age 10, and William, age 7. Brandon was born in Denver, CO, then moved to Central City, NE where he graduated from high school in 2003. He is an outdoors-type person enjoying kayaking, fishing, snowboarding, and pretty much anything else the wild may bring. He is and will continue to be a great asset here and will be a part of our continual growth. Next time you’re in the area stop by and give Brandon a big hello!